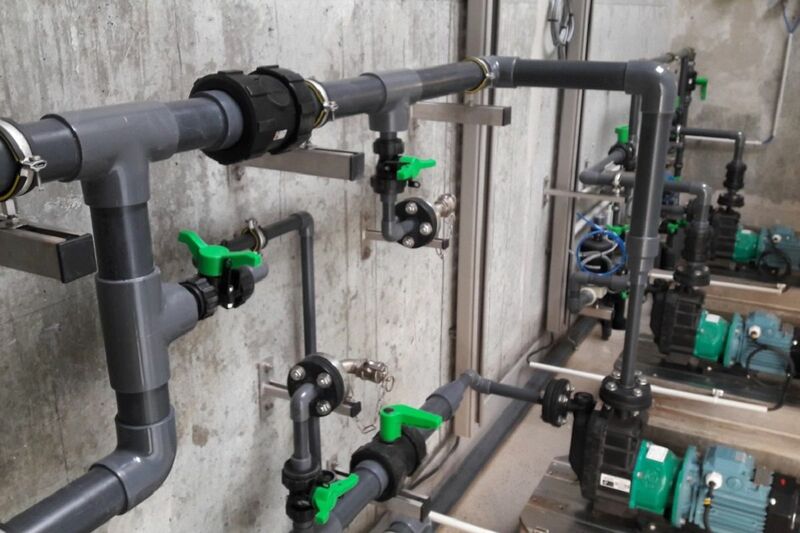 SAFI offers a wide range of manual and actuated valves, strainers and fluid control products for environmental applications. The applications in the environmental sector require ‘’cheap products’’, but reliable in time, light, resistant to external corrosion and exposure to UV, and with an excellent resistance to chemicals and abrasion. SAFI is a brand recognized by many actors in the environmental sector such as VEOLIA, SUEZ, VIRIDOR, GEA WIEGAND who have trusted SAFI for decades considering the SAFI product range suitable for their industry. To obtain the title « drinking water » and thereby be able to be consumed without any risk to the health, Raw water drawn from rivers, lakes, groundwater or collected rain water must go through many treatments. These operations can be done at the scale of an agglomeration, in private or public plants. The decantation is a physical process that consists of allowing particles with a density higher than water to settle in the bottom of a pond. The mixture of raw water and coagulants-flocculants is introduced at the bottom of the decanter. In the decanter we find micro-sand which « sticks « to flocks and ballast. These then fall to the bottom of the decanter. The decanted water is evacuated from the top of the tank. The SAFI ball valves DN 32/50 and DN150 are mainly used on the extraction of the sludge. Several versions are possible: manual and/or electric or pneumatic actuated. 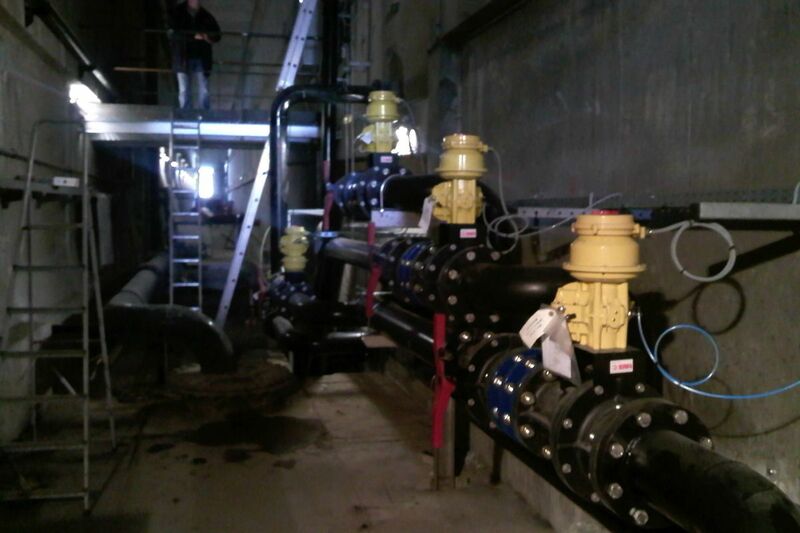 The ball valves are in PPGF/EPDM but with different options depending on the decantation of the customer. This filtration removes all particles with a diameter greater than 5 µm. At regular intervals, a chemical cleaning based on the use of detergent and citric acid removes fat elements contained in the organic matter of water.